YOON CHO, 2012 – 2016, 24 x 36 inches (60.96 x 91.44 cm), Archival pigment inkjet print, Edition of 3. 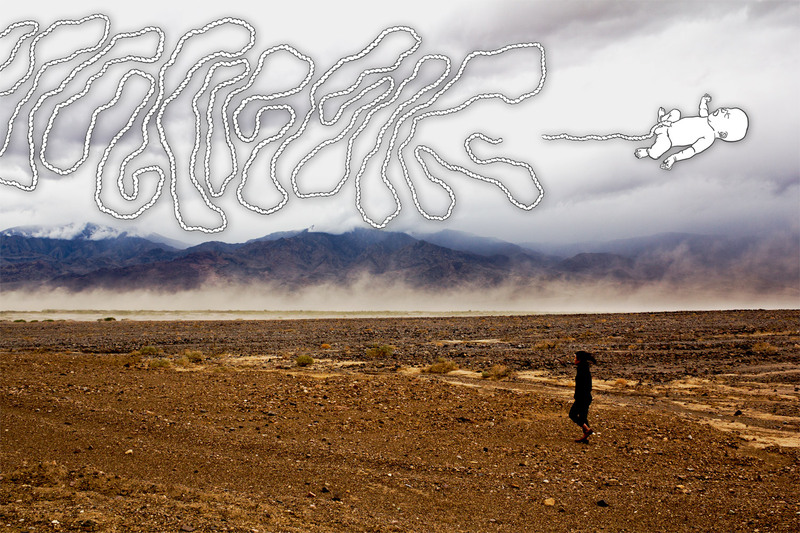 Superimposed digital drawings of elongated umbilical cord over the image of the artist walking during a desert storm in Death Valley. The drawing is based on the photograph of her son’s birth. Photo taken in Death Valley, California.